Some writers say that there’s nothing harder than writing an ending. After giving the characters a beginning and a difficult challenge to defeat, giving them a fair but satisfactory ending can be the biggest hurdle for a writer. Finding a balance between what the readers want and what the characters want is the first challenge for a good ending. Sometimes, the fairest ending means having your characters die, and that is not something many readers will appreciate. Because we want to honor those writers that have managed to create great endings despite all the challenges that it presents, we have an update to the top ten best endings in manga. Obviously, there will be spoilers ahead, so proceed with caution. As an orphan, Shiharu Nakamura has always dreamed of giving to other children all the love and care that she gets from the people in charge of the orphanage where she lives. When we first meet her, she's well on her way to fulfilling that dream: She's studying hard to get into a good college and then become a teacher, she works in a daycare and seems to be happy with that. That is until the uncle of two twins that have latched on to her asks her to leave the daycare and become their permanent babysitter. 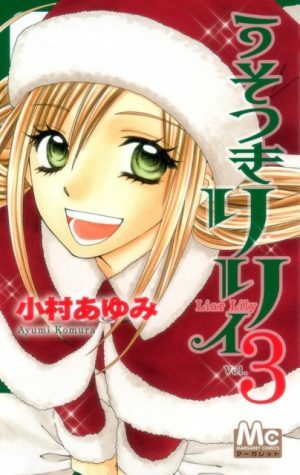 Shiharu accepts, but soon she realizes that there’s a hidden danger in her job: falling in love. 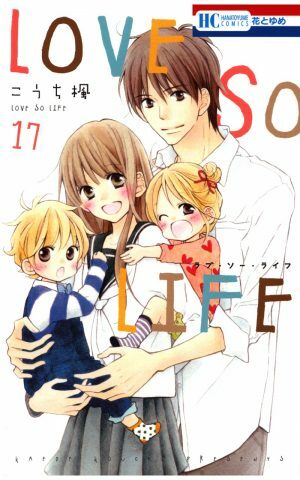 Love so Life is a nice, beautiful romance that lets Shiharu follow her dreams and get a very happy ending. 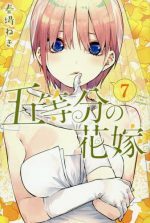 At some points, the story seems to veer into a tragedy due to a lot of misunderstandings but, in the end, the reader gets to see Shiharu and Seiji triumph over everything that life throws at them and get their happy ending. And for that, Love so Life stands in the tenth place of our list. When Riiko gave a salesman his cellphone back, he offers her a chance of a lifetime: a free trial of a "figure" that can be her perfect boyfriend for three days. Although she's really unsure of the situation, she accepts and ends up with a very realistic and good-looking android that she names Night. Once the three days pass she’s not that willing to let go of her new perfect boyfriend and she doesn’t really have the million yen that the company asks for his services, so she strikes a deal with Night’s owners: She will teach Night everything he needs to know about girls as well as give them all her money, and in exchange they will let her keep Night. 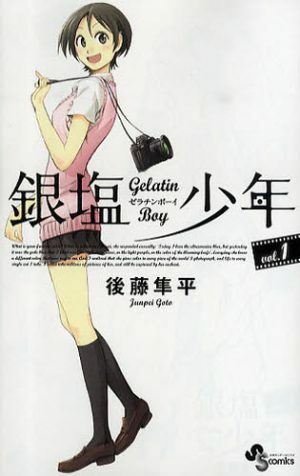 Like many of Yuu Watase’s other manga, Zettai Kareshi circles around a very intense love triangle: Night is completely devoted to Riiko, who is convinced no one loves her but is herself the target of her childhood friend Soushi’s affections. And, usually, in this kind of situations, everyone is expecting the heroine to make a choice between her two options. 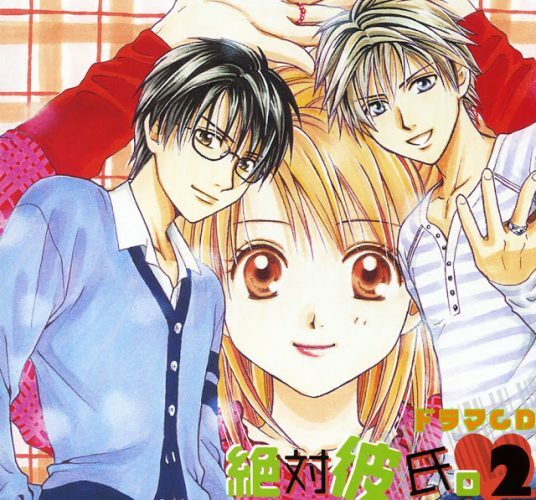 Zettai Kareshi breaks expectations by giving readers both choices: Riiko stays with Night until he “dies” –that is, his running time is over- and some time later, Soushi comes back to her life. It’s a sweet ending that more than deserves the ninth place on our list. 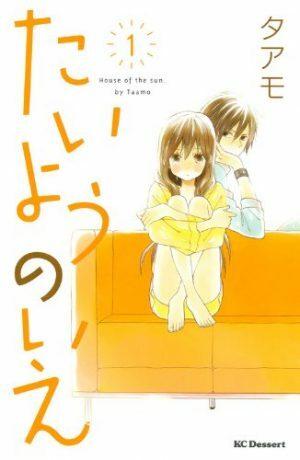 Mao Motomiya has a difficult choice to make when her parents divorce, as each of them wants her to stay with them. To make things easier for her, Hiro Nakamura, her childhood friend and former neighbor, offers her to come to live with him and his younger siblings. They live alone too since their parents died, so they have the extra room. Before her parents’ separation, Mao used to spend a lot of time at the Nakamuras’ place, so this is not a new situation for her. What is new is that for the first time in her life, she feels as if she has a place where she belongs. This is why the ending is so perfect. 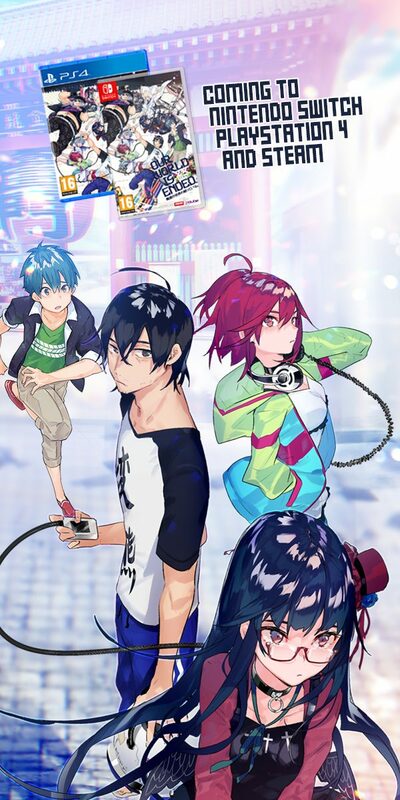 After many years of misunderstandings and the challenges presented by Mao’s shy personality and Hiro’s fear that a relationship between a 23-year-old and a 17-year-old could be weird, seeing them get together is a real treat for the readers. His proposal is clear and sweet since he simply asks her to become a real family with him. The sweetness is the reason why the ending is so satisfying and why it earns the eighth place on our list. The Voynich Hotel is a beautiful and luxurious building situated on Blefuscu Isle. 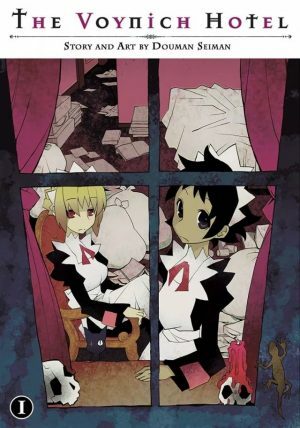 Its staff consists of only two maids, Elena and Beluna; the owner, who is always wearing a mask; and Amelia, the chef. Sure, Amelia has the bad habit of trying to poison the guests, but Elena almost always manages to stop her on time. 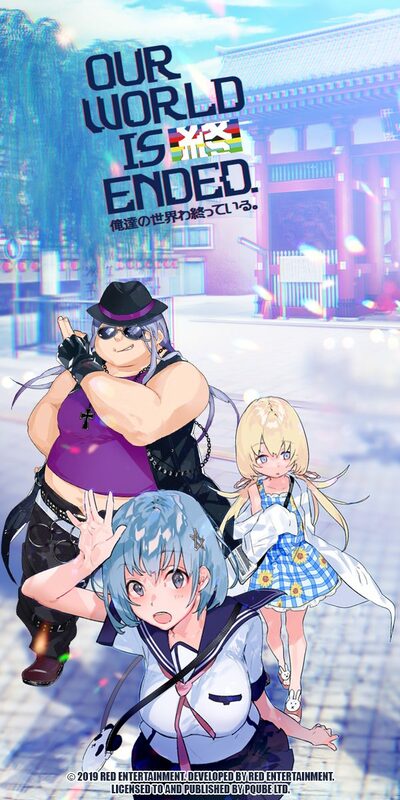 One of the guests, Kuzuki Taizou, seems to have worked for the Yakuza, and other guests could be demons, but Elena and Beluna are quick to assure everyone that the hotel is perfectly normal. At least as normal as a hotel built on top of a witch’s grave. Giving a good ending to a story like the Voynich Hotel is not easy. The guests of the hotel had their own story arc which was not connected to the main story of Blefuscu Isle and the secret behind the legend of the Three Mothers, three witches who ruled over the island before the Spanish Inquisition killed them. Sayman Dowman manages to close every plot and give Elena a much-needed break with her beloved Taizou, which makes the Voynich Hotel ending the seventh place on our list. Harumichi Bouya transferred to Suzuran High School in the middle of his second year. 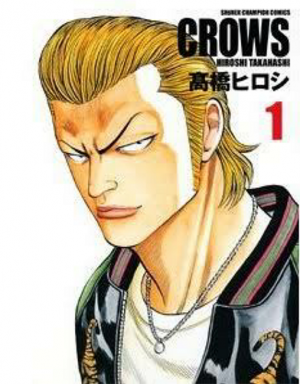 Suzuran is infamous because they have a lot of delinquent students who are usually known as Crows. 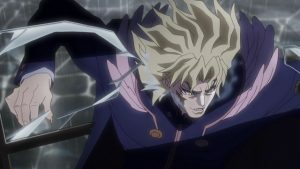 This suits Bouya, as he only wants to show that he is the strongest fighter in the area, which, at first, puts him in in direct conflict with the leader of one of the Crows’ gangs, Hiromi Kirishima; and later, with the most dangerous student in the school, Hideto Bandou. The problem is that Harumichi doesn't like to be a leader, and every time he beats a gang leader, everyone wants him to lead when all he wants is just to fight for fun. The ending of Crows is a bit surprising. We follow Harumichi from the second year to the senior year, as he keeps fighting stronger and stronger delinquents, eventually facing off against Kuzugami Tatsuo, the Strongest Delinquent in Japan. But while he managed to finish that particular fight, he lost the “important” one, against education, and couldn’t graduate. 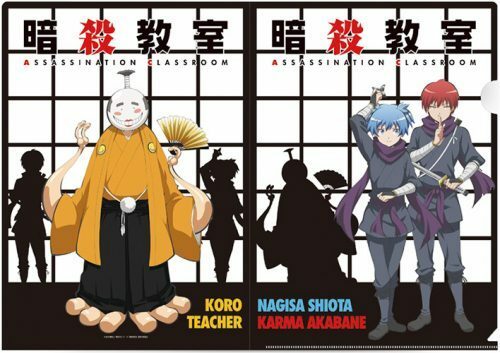 Thus the manga ends true to his character: he has to move and find a new school in order to finish his education, despite being a legend among the delinquents. Because of this, Crows earns the sixth place on our list. Fantasy heroes have two goals: Save the princess and the world. So what happens when one of said heroes only wants to save the world for a princess that wants to destroy it? Well, when you are a misanthrope that hates people you fall in love with the princess and decide to follow her to the literal end of the world. 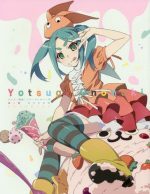 With that premise, Hoshi no Samidare gained a quick following of readers who wanted to see what other fantasy tropes the author managed to twist on their head. Hoshi no Samidare managed to toe a very difficult line between dark comedy and cynicism. The main characters hide their true goal very well from their companions, but the readers know that the end goal is still the end of the world. This creates a very interesting story arc in which the main heroine is at the same time the Big Bad and it takes skill to turn that into a good ending. 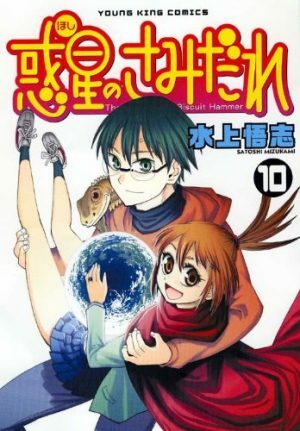 Satoshi Mizukami has that talent and the final chapter of Hoshi no Samidare, when our hero has to decide between obeying his princess or saving the world, deserves the fifth place on our list. Matataki Tokita has a very powerful talent: Whenever he takes a photo with his camera, he gets a shot of the future of that person. So when he sees the girl he likes, Mirai, standing with a strange guy under the school bell that is rumored to bring two people together forever if they kiss under it, he's a bit upset. Still, he loves her completely so he wants her to be happy and starts using his power to make sure she will not suffer. But can he really sacrifice everything he has in order to make sure Mirai ends up with the man in the picture? Or can he fight for his own happiness despite what fate wants? When a writer uses the power to see the future as part of their story, they usually write themselves into a corner. It’s hard to surprise readers when you are letting one of your characters show what is going to happen in any given situation. And when there’s a character that will fight against fate, readers expect it to be the boy. That’s where Ginen Shounen surprised everyone, by making Mirai the one who was ready to tell Fate that she had the strength to choose her own destiny and giving the story an ending that made everyone smile, as she does kiss someone under the bell, just not who Matataki thought she’d kiss. 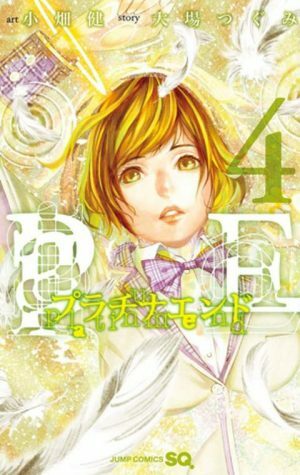 For that surprise that made all readers happy, Ginen Shounen climbs to the fourth place on our list. Tamaya Nika is a gorgeous high school girl loved by everyone in the school. She's popular, fashionable, and perfect. 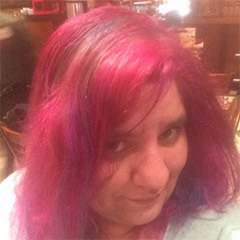 At least she's like that in public because, when she's at home, she's the exact opposite: A slob wearing glasses that prefers to spend all her free time playing video games. In simple terms, she's "on" at school and "off" at home. Her best friend knows why this switch happens and keeps her secret faithfully. However, there's someone else at school that discovers this secret, and he has his own on/off switch: Kamiyama Arata. He recently transferred to the school and met Nika when "off", so when he sees her "on" at school, he makes the connection. The thing is... Arata’s switch is the opposite of Nika’s: when he’s at school, he’s a glasses-wearing otaku. It’s when he’s at home that he reveals he’s a very handsome and cool guy. While the fact that Nika and Arata would end up together is something that every reader can see coming from the very beginning since it’s a shoujo manga and those rarely divert from the first couple we see, the way in which they do get together is adorable. The very last chapter gives us a perfect ending for everyone, wrapping the plots in a nice ribbon with the graduation of the class. We see that Nika is still loved by everyone despite her switch personality being discovered, but even better than that, Arata doesn’t want just the perfect side, but also the clumsy, grumpy mess that she’s at home. And because a girl loved without needing to change more is something that is rarely seen, Switch Girl occupies the third place on our list. When two-thirds of the moon is destroyed in an explosion, life on Earth changed for everyone, but not as drastically as it changed for Class 3-E of Kunugigaoka Junior High School. The teens, already considered by the whole school as outsiders due to a very strict grading system, have a new teacher: a yellow tentacled monster that claims that not only did he destroyed the moon, but he will do the same to Earth if they can't kill him before the school year ends. So now, they have to balance their normal classes, exams, try to get out of the discrimination they suffer for being the lower ranked class in the school, and save Earth from absolute destruction by killing the greatest teacher they have ever had. 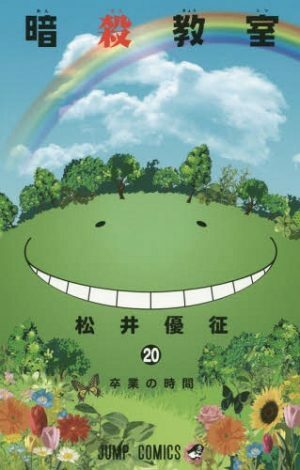 Ansatsu Kyoushitsu is another manga that seems to have the end telegraphed from the beginning: the kids have to kill Koro-sensei in order to save the Earth, and since the Earth being destroyed is not a good ending, Koro-sensei has to die. The problem is that during the 21 volumes that the story lasts, the readers and the kids get really attached to Koro-sensei; once the truth behind him and the moon’s destruction is revealed, the last arc is a hurried race to try to save him no matter what. It’s hard to keep your eyes dry as that last chapter comes and it’s revealed what Koro-Sensei did with what would be his last day alive. "The worst thing you can do to a man is to steal their ideas". That was what Kevin Yamagata's father taught him when he was young and the reason why he traveled to Japan in order to meet the man Kevin accidentally plagiarized with his best-selling comic, Billy Bat. What he doesn't know is that this action will put him in the center of an ancient conspiracy to rule the world and that, if he does something wrong his own comics, will spell the end of the world. This makes Kevin run for his life as other people who read his comics start getting together; some to help him, some to stop him and the Bat. 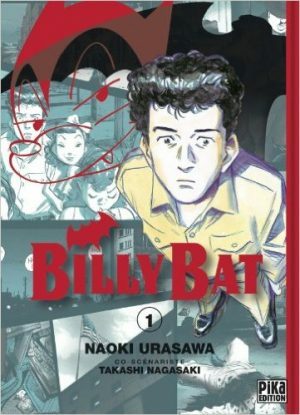 Like every other Naoki Urasawa manga, Billy Bat has a very complex plot and a diverse cast of characters, each one with their own story arc. He also mixes the fictional plot with real historical figures from Jesus Christ to JFK, and real tragedies from WWII to 9/11. And with this kind of tangled web, it's hard to create a good ending. 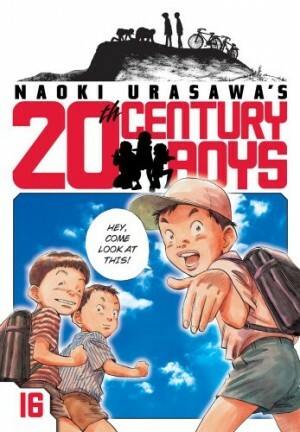 And yet, Urasawa and Nagasaki give a perfect ending that shows both the importance of culture –in particular, how stories can affect us years after we have read them and how they can make bridges between different cultures thanks to translations- and is faithful to the plot they started. For that reason, Billy Bat still holds the first place on our list. The ending of a good story is sort of a goodbye as we have to leave the characters and plot that have kept us interested for months, or sometimes years. That is why it’s such an important part of the story, because a bad ending can soil our memories of an otherwise perfect story. So we really want to know, what are the best endings you remember? What were the ones that hit you harder, even if they’re not that popular with other readers? Please, let us know in the comments below. Endings can make or break a story. It doesn't matter how much you enjoyed the beginning and the middle, if the ending is not up to expectations, you will hate the full tale. However, if the ending blows your mind away, even the biggest sins of the beginning are forgiven. There´s no manga that can run too long, if the ending is satisfactory. 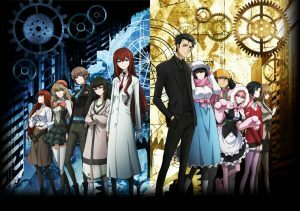 In the opposite direction, if it's an amazing ending, you forgive if the story is short even if you want to see more of the characters. However, making a good ending is not as easy as it sounds. We've said before that what a good or bad ending is comes down mostly to what the reader thinks of said ending, however, just as there are endings that no fan can forgive, there are also some endings that even the staunchest critics will agree are amazing. So in that spirit, here are the 10 endings we believe deserve the title of best manga endings, and of course, our reasoning why. Spoilers ahead of course, so proceed with care. Rumiko Takahashi is well known for her amazing stories, although her endings tend to be very open and thus, not for everyone’s taste. 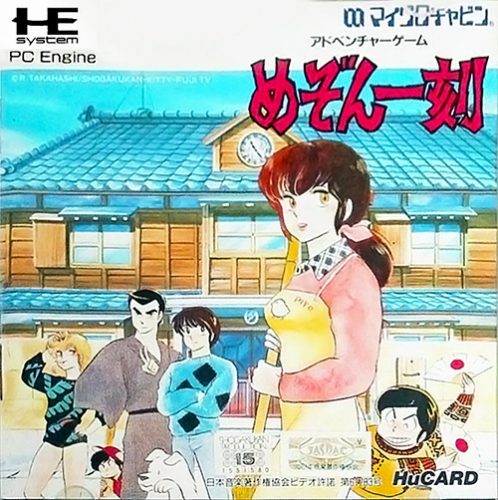 However, there’s one of her works that has a perfect, satisfactory ending, and that is Maison Ikkoku. After 15 volumes of watching poor Yuusaku Godai trying to convince Kyoko Otonashi to leave the memories of her late husband behind, as well as trying to fight other suitors for Kyoko’s love; such as Tennis Coach Mitaka, who was -according to all the tenants in the house- a much better suitor, it is incredibly satisfying to see him and Kyoko, not only confess their feelings openly, but also let go of their past and get together in a wedding that actually ends like a wedding. 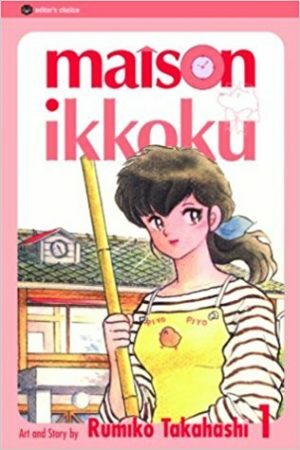 It is important to note that Maison Ikkoku is a “Will they, Won’t they” manga, and from the old school too, having been serialized in the 80’s. That means that we, as readers, knew that Yuusaku and Kyoko would end up together because they were the main couple. It was not a question of if, rather a matter of when. And while some people may feel that 152 chapters is a bit too long for them to finally get to confess their actual feelings, the truth is that Takahashi made it worth our while because the story doesn’t end there. After chapter 152, there are 9 more chapters were we get to see the changed relationship between the two, which makes the ending even sweeter. Because of this resolution, and the way in which every character grew along the story, Maison Ikkoku is the tenth place on our list. Koichi Kawato is the teacher everyone would love to have: young, optimistic, honorable to the point of foolishness and 100% dedicated to his students. 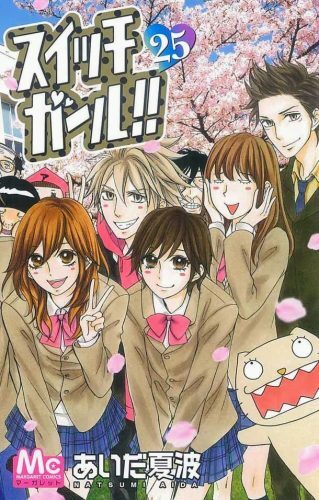 Rather than follow the usual techniques of Japanese teachers, Kawato tries to bond with his students as a friend, and that leads him to promise that he will carry the school’s baseball team all the way to the Koshien even if he has no idea of how to play baseball and the club has been taken over by the worst delinquents in the school. Still, Kawato doesn’t hesitate, and tries to reach to said delinquents, as in his opinion, there’s no such thing as a bad kid, just kids that haven’t had the right support to follow their dreams. Rookies’ ending is incredibly satisfactory for a sports manga. 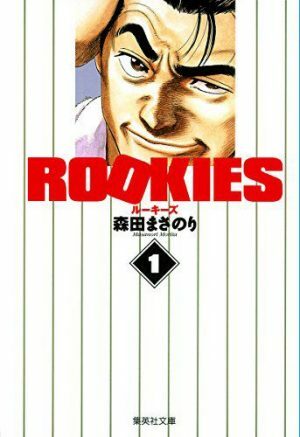 Because it has not one, but two endings: The first one, in the original run of the manga, sees the Futakotamagawa team reach the Koshien in a tight game that, due to the actions of other players, may very well be their last. Kawato’s job is on the line, even if the players don’t know it, and thus, the result of the game is almost heart-stopping. So when you find the solution, and the consequences to everyone’s actions, you can’t help but smile. The second ending, a one shot recently released, is a bit more realistic, and it follows Mikoshiba, the team’s captain, as he leaves the school to try and pursue a professional career, and how said dream may not be as easy as it seems. Because the first ending is a perfect ending that respects all their characters and their growth, as well as bookends the story with a similar situation to the beginning, Rookies gets the ninth place on our list. Shinigami are death spirits who use Death Notes to decide who dies and when. They can kill any person, as long as they know the person’s face and name so they can write it in their deadly notebooks. However, their lives are very monotonous as they only watch humanity to decide who dies. This makes Ryuk, a shinigami quite interested in the human world, grow bored; and in order to get some fun, he lets his own Death Note fall to Japan to see how a human would use the powers of the notebook. The one who stumbles upon it is Light Yagami, a prodigy high school student who claims to hate the state of the world due to crime and soon decides to start using the Death Note to make sure criminals are purged from earth. Death Note quickly became a fan favorite due to the complex mystery that Light, now nicknamed Kira by the press, created for the police who chased him because even if his victims were killers, he was still a serial murderer. While most readers say that the best part of the manga was when Light clashed with L, world’s best detective and the only one who came close to understand the full mystery behind Kira, the second part of the manga that pitted Light against L’s successors, Mello and Near, was equally engaging until the final moment, when Ryuk finally fulfills a promise he made way back in volume one: That he’d be the one who would write Light’s name in his own Death Note, the moment he stopped being amusing. 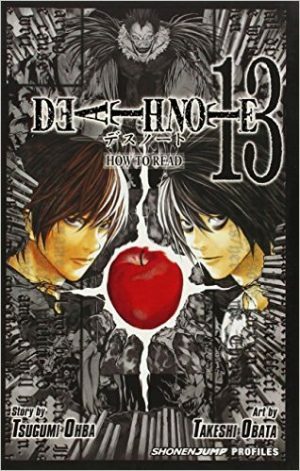 While the ending is really satisfactory, and one has to give credit to Ohba and Obata for killing not one, but three main characters (four if we count the epilogue and six if we consider L and Rem), we can’t ignore that perhaps the manga went a bit too long after L’s demise, so Death Note only reaches the eighth place on our list. Shinichi Izumi has the bad habit of sleeping with his headphones on, and it was that bad habit what saved his life the night a worm-like creature tries to enter his body, first through his ear, then through his nose, waking him up. In the following scramble, the parasite manages to get into his right hand, which it proceeds to assimilate. But Shinichi’s parasite, later named Migi, was not the only one that arrived to earth, just one of the very few that didn’t manage to reach the brain of their host. In fact, the Parasites have invaded Earth, and their main food source are humans; this is dangerous to Shinichi, who wants to protect his fellow humans, and to Migi, as other parasites sense that both have their personalities intact and thus look to attack the pair whenever they meet them. 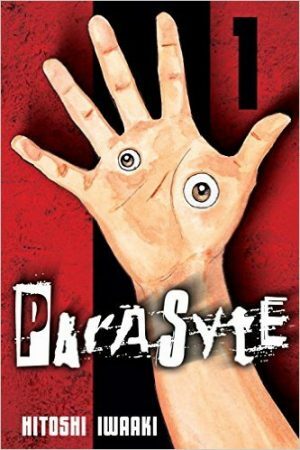 The ending of Parasyte can be described as a rollercoaster: We have first the very tense confrontation between Gotoh, the five-parasite composite and Shinichi and Migi; once that is done, we get to see what happened to the rest of the parasites now that humans are aware of them, and a very heartfelt scene where Migi decides to go “Dormant”, basically to become Shinichi’s right hand and lose his own identity. Once that emotional bomb is done, we get to see how Shinichi’s life is following the loss of his friend, as well as the tying up of the last loose thread from the previous arc… and the ending itself can bring a small tear to even the hardest of hearts. Because of the way Parasyte plays with our feelings at the same time as it remains true to its premise and its characters, it earns the seventh place on our list. Sister Rosette Christopher has been working with the Order of Magdalena as an elite exorcist for almost 4 years. Her main motivation for going on the most dangerous missions is to find and save his younger brother Joshua, who has been kidnapped and brainwashed by a demon named Aion. To help her on her goal, she has made a deal with another, friendlier demon named Chrono, which unfortunately means that her life is ticking away and she may not live past her twenties. Chrono is very aware of that, so he is not very happy when she unseals his full power, as this eats more of her lifetime, but given that he also feels responsible for Joshua’s kidnapping, he keeps helping her despite his misgivings. Fans of the anime know that that adaptation had an incredibly tragic –and some may say, unfair- ending. The manga ending is equally tragic, but it holds some comfort to the readers: Joshua and Rosette do reunite before a very difficult battle, where Chrono is seemingly lost forever. But Rosette won’t give up on him. She stubbornly clings to life, even as she ages prematurely in the years following the battle, sure that he’ll come back to her. And he does, just before she passes away, in a scene that is sure to bring tears to anyone reading. The bittersweet ending fulfilled the threat of the plot, but at the same time gave us a somewhat happy ending for the secondary characters, and let Rosette and Chrono rest in peace together. 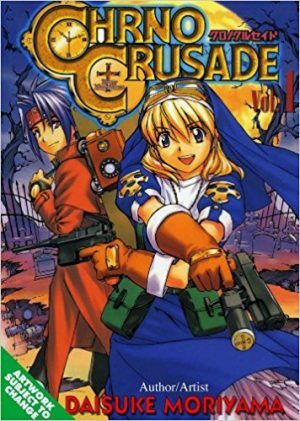 Because of this, Chrono Crusade earns the sixth place on our list. 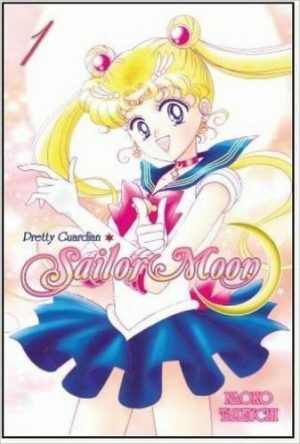 Usagi Tsukino is a clumsy young girl whose whole world changes the day she meets a talking cat named Luna who promptly informs her that she’s Sailor Moon, a chosen soldier with the mission to find the Princess of the Moon Kingdom and defend mankind from those who will attack the Earth. As the story advanced, we got to meet many other Sailor Senshi, one for each planet, as well as Tuxedo Mask, the mysterious protector of the girls. And then Usagi happened to be the Moon Princess herself, and the enemies grew more and more powerful, and had more personal reasons to attack the Sailor Senshi. There’s not much that can be said about Sailor Moon that hasn’t been said before. It is, after all, the responsible for the Maho Shojo boom of the nineties, not only in Japan, but also all over the world. The ending, however, is not often discussed as it is easily summarized as “And then Usagi and Mamoru got married and lived happily ever after”. Which yes, it is the ending proper, but that doesn’t count what happens in the previous pages, when Usagi, alone, after witnessing the death of her friends and beloved at the hands of Sailor Galaxia, finds it in herself not only to forgive Galaxia, but also to sacrifice herself so that her light will be able to destroy the Cauldron where all stars are born, where Chaos has made a home for itself. This ending, completely true to the message of the story and the character of Usagi, definitely earns the fifth place on our list. Kenji Endo has some regrets, but also a lot of childhood memories that make said regrets a little easier to take. Sure, he never became a great rockstar and is instead taking care of a convenience store and his sister’s baby, but that doesn’t mean he is not happy. Or so he thinks, until he receives a letter from his childhood friend “Donkey”, telling him that he has been murdered by one of his friends from the past. It is then when Kenji discovers a very dangerous cult intent on destroying mankind, led by a mysterious masked figure who is only called “Friend”; the problem is that said cult’s teachings are completely based on a secret game Kenji and a very small group of friends from the past knew, which means that Kenji must figure out which one of his oldest companions is in fact a madman trying to destroy the world, at the same time he tries to stop the destruction from happening. Now, we’re cheating a bit with this particular manga as the ending was not published as 20th Century Boys, but as 21st Century Boys. But as they’re the same character, the same story, we’re counting 21st Century Boys as the true ending which is tying up all the threads left by the final confrontation between Kenji and Friend, during the 3FE music festival organized by Kanna, Kenji’s niece. 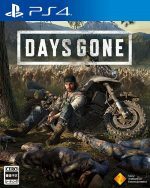 It tells us what happened with the survivors, how mankind manages to keep going after an almost complete destruction of civilization, and how each character gets to live after what they’ve witnessed. But, more importantly, it gives a very fair answer to the biggest mystery of the series, and manages to end in the same place as it began: With T.Rex’s 20th Century Boy. We’re forced to take some points off given the change of title, but still, this masterful show of narrative from Naoki Urasawa earns the fourth place on our list. The relationship between Shinichi Chiaki and Megumi “Nodame” Noda is one for the books. Despite being complete opposites –and Chiaki at some points feeling as if he was babysitting Nodame, rather than partnering with her- they make wonderful music together, and they help each other to grow as people. So Shinichi becomes a bit less pretentious, and learns to deal with messes in a healthier way while Nodame starts facing her fears of competition and starts getting some order in her messy life. In short, they manage to complement each other, and the lives of the people that surround them, creating a great orchestra in their school. 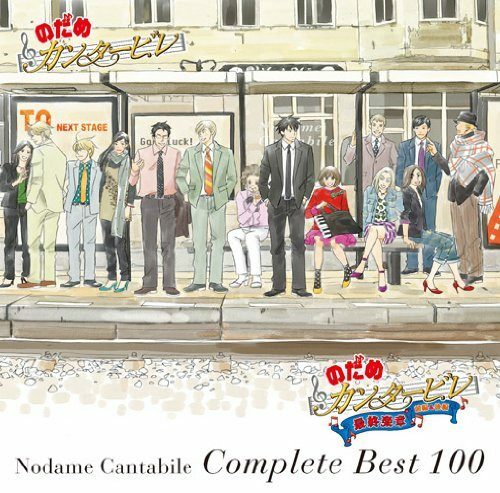 Unfortunately for fans, Nodame Cantabile suffered from some programming problems due to Ninomiya’s health. Due to this, the series originally ended in 2009 and just like 20th Century Boys, got an epilogue in the form of Nodame Cantabile-Opera Hen. 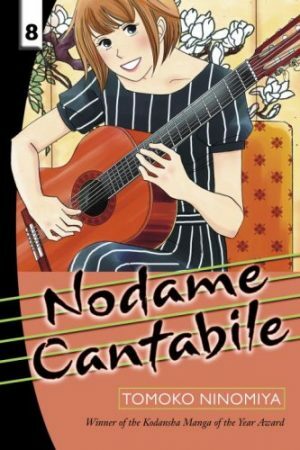 And while the ending of the original manga may have felt underwhelming to some, the actual ending to Opera Hen more than delivered with both Chiaki and Nodame having their first performance together, and then deciding to keep going forward with their studies. This sweet ending left readers satisfied and it was true to the spirit of the story, but as it was published in a different title, it only reaches the third place on our list. 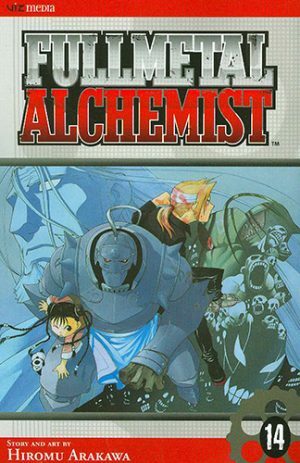 Edward and Alphonse Elric are alchemy prodigies. Sons of a mysterious, but very knowledgeable alchemist, they had managed a lot of milestones of transmutation growing up. Unfortunately, when their mother dies, as their father is absent, they decide in their grief to break the biggest law in alchemy and attempt a human transmutation circle to get her back. And in doing so, they learn the hard way why it is such a taboo: not only can’t they resurrect her, Alphonse loses his entire body, and Ed his left leg. Even so, young Ed decides he won’t be losing his brother too, and so he sacrifices his right arm in order to seal his brother’s soul in an ancient armor. This leads to Edward being drafted in the army, as a state alchemist, which he uses to his advantage to look for the Philosopher’s Stone, an artifact powerful enough to return them to their proper bodies. 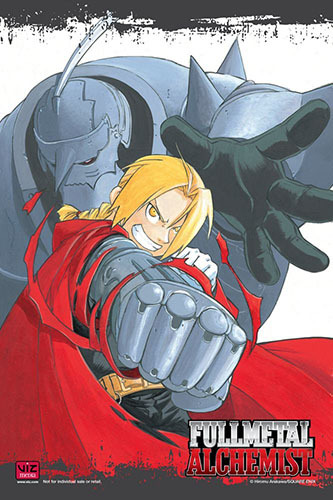 Full Metal Alchemist is an incredible ride of intrigue and politics, mixed with some heavy action scenes. With a great cast of characters that go from the other military members –special mention goes to Roy Mustang, Riza Hawkeye and the whole Amstrong Family-, the evil Homunculus, and even the characters branded as terrorists, it’s hard to imagine any ending that would top two of the most tragic deaths in manga from the first decade of the century. And yet, Arawkawa delivers a perfect ending that is true to the characters, her universe rules, and to be very honest, it’d be a crime to completely spoil. And that is why Full Metal Alchemist more than earns the second place on our list. Mankind evolves through art. 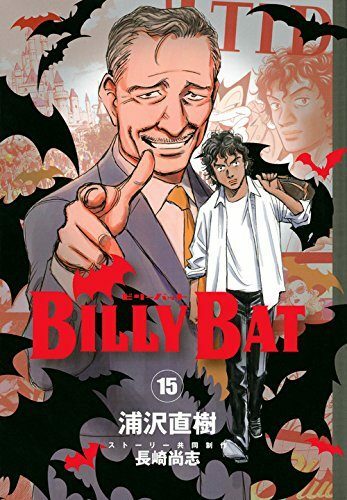 Kevin Yamagata doesn’t quite understand those words when he meets the author of the manga he thought he was accidentally plagiarizing in the USA: both had drawn an anthropomorphized bat named Billy who went into different adventures as a private detective. However, the older man is not worried about plagiarism, he’s more worried about which bat inspired Kevin, the white one or the black one. The next morning, the man is gone, leaving Kevin with a manuscript of the Japanese Billy Bat that, unknown to Kevin, predicts a tragedy that had happened that very night: the death of an important business man, who was later placed on the railroad to be crushed by the train. And it’s then when Kevin has to start running for his life, as he has been involved in an ancient conspiracy that spans centuries, and could very well end mankind itself. Where 20th Century Boys could be considered a love letter to music and how it affects us –with a very good dose of childhood nostalgia and learning how to let go of grudges-, Billy Bat is a love letter to manga and comics in general. And nothing makes it clearer than the ending, which, in true Urasawa tradition, was foreshadowed in the very first volume. As always, Urasawa’s narrative is perfectly tight. There’s no superfluous panels, no character that doesn’t play an important role, and so many twists and turns that even knowing that the ending is foretold, it still comes as a surprise when it finally arrives. And because of that excellent connection, and the way the ending fits with the whole narrative and the message of the story, Billy Bat has the number one spot on our list. A good story deserves a great ending, and these ten manga are excellent examples of both. But we have to admit that when the story gets longer and longer, it’s harder to imagine what kind of ending could be good enough for the characters we love. 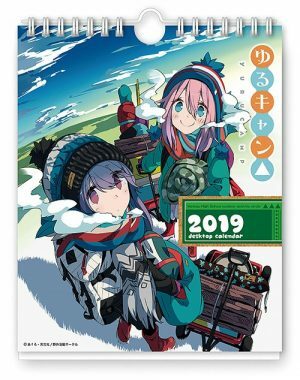 One could even say that there are stories that we don’t want to see end –even if that could bring another set of problems, as the longest running manga also have proven. 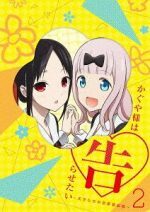 What is your favorite manga ending? Is it on the list? Or did we miss an amazing ending? Please let us know in the comments below.